The Dead Eye system returns from the original Red Dead Redemption, and this guide will show you how to refill the Dead Eye meter, and more. Dead Eye was definitely one of the best things about the original Red Dead Redemption 2, and it's back once again in this sequel/prequel. In our Red Dead Redemption 2 Dead Eye guide, we'll be taking you through everything you need to know about the system, including how to upgrade Dead Eye in Red Dead Redemption 2, and much more. If you came here by mistake and don't in fact want info on the RDR2 Dead Eye system, you’ll want to head over to our Red Dead Redemption 2 guides hub. It’s on this main page that you can find a complete beginner’s guide to the game, as well as a full index of all our in depth guides, covering many different areas and aspects of the game. Red Dead Redemption 2 Dead Eye Controls - What Button Activates Dead Eye? Dead Eye in Red Dead Redemption 2 is unlocked very early in the game, and essentially lets you paint targets while time slows down. Once you're ready you can unleash a wave of bullets, taking out all the targets you've locked onto. 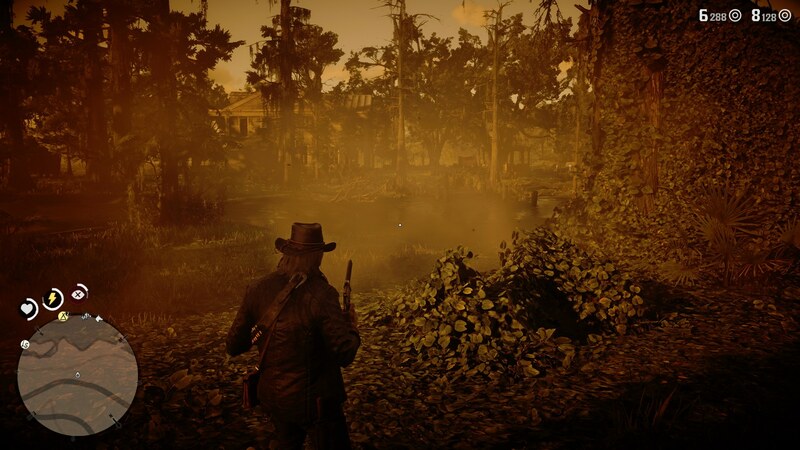 In the heat of the moment it's easy to forget Dead Eye is an option, so we've got all the details on what button you need to press in our guide just below. If you played Red Dead Redemption back in 2011 (or since then), then you’ll be somewhat familiar with Dead Eye. To activate the system, aim with your weapon using the left trigger, and press the right analog stick in, whereby you’ll go into Dead Eye mode. Time slows to a near halt while you’re in Deadeye mode, but only for a limited time. Until the Dead Eye meter right above your mini map is fully drained, or until you press the right trigger, you can pass your cursor over any enemies that you wish to unleash a bullet at. You can even aim at specific limbs on enemies, so if you want to deal with bandits quickly, pass your cursor over their head to tag them for a shot. While your Dead Eye meter in Red Dead Redemption 2 will gradually refill every time you kill an enemy, there are quicker ways to replenish the meter. 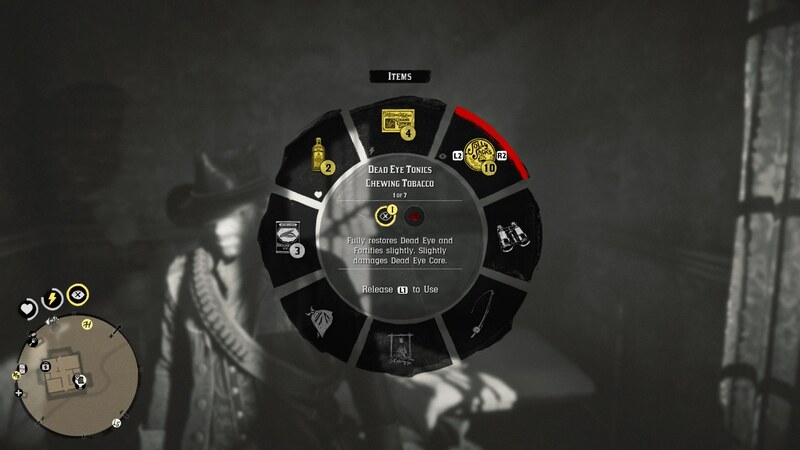 You can consume either Chewing Tobacco or Miracle Tonic to completely refill your Deadeye meter, both of which can be accessed from the item wheel by holding down the left bumper. If you ever need to refill your supplies of consumables, then you’ll need to find the nearest town on your map, and head to either the general store, or the local doctor. The former sells Chewing Tobacco, while the latter sells the Miracle Tonic. Over the course of Red Dead Redemption 2, you're going to be using Dead Eye a lot. Whenever you use the special ability, you're actually upgrading it at the same time, much as you would with the health and stamina meters in the game. Your first upgrade for the ability is to manually place shots using the right bumper, which you can do by simply passing over an enemy, and placing shots with the button. Your second upgrade for Dead Eye is the ability to fire off shots whenever you please with the right trigger. This is perfect for when you're looking to snipe someone from a far off distance with a rifle that lacks a scope, since you have time on your hands to aim and fire. The third and final upgrade for the Dead Eye meter in Red Dead Redemption 2 is to highlight critical points in enemies. When you're in Dead Eye mode, critical points on the bodies of enemies will be highlighted in red, so you know exactly where to place shots to guarantee a kill in one hit. We’re now all done with this particular guide on Red Dead Redemption 2's Dead Eye aiming system, but there’s plenty left to cover on the game just yet. You can find out how to retrieve your hat in Red Dead Redemption 2 should you ever lose it, or check out our Red Dead Redemption 2 Wanted guide, for a complete explainer on the Wanted system. If you're looking for info on RDR2's Online mode, we've got you covered. You can head over to our Red Dead Online Guides Hub to find all of our Red Dead Online Guides content in one handy place. 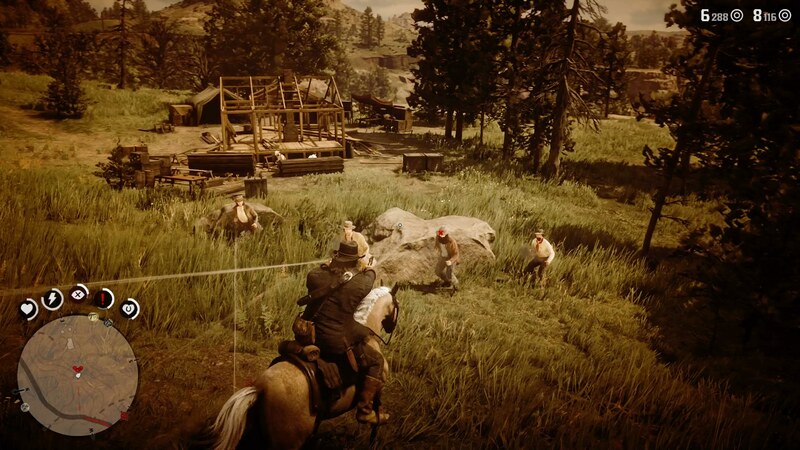 Alternatively, you can find info on the best weapons in our Red Dead Online Best Weapons Guide, see what the best horse is in our Red Dead Online Horses Guide, learn how to make as much money as fast as possible in our Red Dead Online Money Making Guide, and see what the deal is with Camps in our Red Dead Online Camps Guide. Tagged with Action Adventure,	Blockbuster,	Guides,	PlayStation 4,	Rockstar Games,	Story Driven,	Xbox One. Monster Hunter World DLC goes big later this year with Iceborne, and in this guide we've got all the DLC release date, trailer, and other details. Here's our complete guide for playing Monster Hunter World, including all the essential tips and tricks that all players should know. Here's our complete guide to the various Mortal Kombat 11 Fatality inputs, as well as details on how to unlock new Fatalities. Here's how to unlock Shao Kahn in Mortal Kombat 11, who is only available as a pre-order bonus. Square Enix takes Sony's old E3 presser time slot. Report: Fortnite Developers Say They Regularly Crunch "70-Hour Weeks"
Part-River City Ransom, part-Persona, part-Yasujirō Ozu: can there ever be a better mix? "Shovel Knight is Not Done:" Yacht Club Games on the Road to King of Cards and Beyond Five years after its original release, we catch up with Yacht Club's Sean Velasco to talk about delays, lessons learned, and the future of Shovel Knight. SteamWorld Quest: Hand of Gilgamech Review Pack lightly for a jolly trip. Mortal Kombat 11 Review What happens when you're locked in Mortal Kombat with yourself?